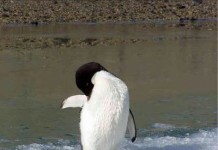 This article is about useful Gentoo penguin facts that are not easily available. These long-tailed penguins belong to the family of Pygoscelis papua and are considered to be the close relatives of Chinstrap Penguins. Johann Reinhold was the first explorer to discover Gentoo penguins back in 1781. 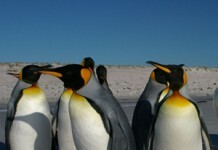 They are primarily found in the Falkland Islands. 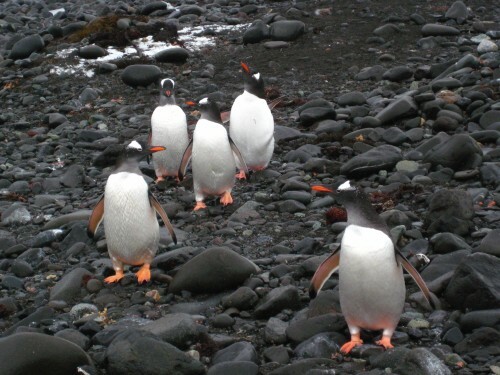 The gentoo penguins gather on an ice-free surface where they form breeding colonies. These birds are adept to form their colonies at shoreline, with special preference is given to the coastal regions that is dominated with tufts of grass especially when it comes to forming colonies. Gentoo penguins commonly breed in sub-Antarctic islands. The major islands where these flightless birds form colonies include Macquarie Islands, South Georgie, Antarctic Peninsula, Heard Islands, Falkland Islands, and South Shetland Islands. With the total population of about 300,000, gentoo penguins tend to occupy most of the Antarctic regions. There is wide stripe that runs across the head-top. Gentoo penguins are 51 – 90 cm (20 – 36 inches) long. They weigh around 8.5 kg (19 lb), with the minimum weight is 4.9 kg (10.8 lb). 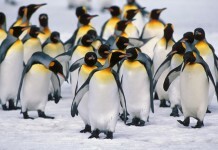 They are believed to be the third largest species after the Emperor and King Penguins. These birds have orange bill together with pinkish feet. The females weigh around 8.2 kg (18 lb) before moulting. 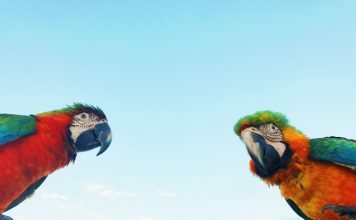 Some birds weigh around 700 grams (1.5 lb). Southern Gentoo Penguins are slightly shorter than the Northern Gentoo Penguins, the length of the former is about 75 – 80 cm. 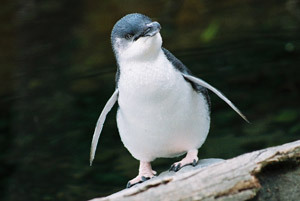 Birds of South are 10 cm shorter than the northern penguins. A Gentoo penguin is capable to swim at a speed of 36 km/h and is arguably the fastest swimming bird. These penguins lay eggs on an ice-free surface. These birds mainly breed in the Sub-Antarctic Islands, Falkland Islands, Antarctic Peninsula, Hear Islands, South Georgia Islands and Macquarie Island. There are more than 300,000 breeding pairs of Gentoo penguins. They lay eggs and cover them by the piles of stones or sometimes with grass and weeds. The females lay 2 eggs. These eggs weigh around 500 grams. Males and females incubate eggs after regular intervals. The hatching period lasts ranges from 34 – 36 days. The parents look after their chicks for about 30 days. After 80 – 100 days, these juveniles begin to travel toward sea. These penguins predominantly feed on small fish, squid, krill, and crustaceans. Fish covers more than 15% of the Gentoo Penguins diet. 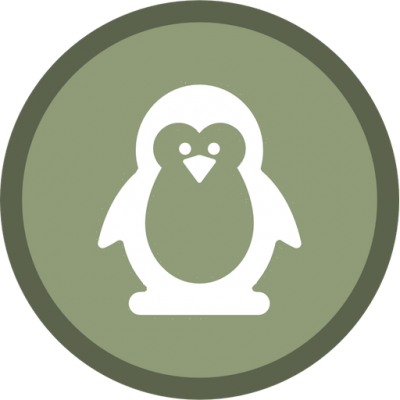 Sea lions, orca and leopard seals are the most common predators that are mainly responsible for these penguins’ deaths. Skua normally steals Gentoo penguins’ eggs.